Some cases can be fatal. The City of Johannesburg will start a major inoculation drive to combat measles on Monday, May 15. This after 17 cases of the disease -which can be fatal in some cases- was recently reported in Gauteng. Dr Mpho Phalatse, mayoral committee member for health and social development, says 13 of the cases were reported in the greater Johannesburg area. “Parents and community leaders can help by ensuring that their kids are inoculated against measles,” he said. Dr Phalatse also warned that any child showing measles symptoms should be taken to a health centre to be examined immediately. The Gauteng health department has also decided to inoculate about a million children aged six months to five years this month. In Johannesburg, the upper age limit will be increased to 15 years. Anyone who suspects that their child has contracted measles should take them to the nearest doctor or clinic as soon as possible. Measles symptoms usually appear within 14 days of being exposed to the virus. 1. Coughing, fever, inflamed eyes, sensitivity to light, muscle pain, sore throat and white spots in the mouth. 2. A spreading rash is typically a sign of measles. The rash can last for up to seven days. It normally appears in the first three to five days after being exposed to the virus. 3. The rash of red, itchy spots usually starts on the head and spreads to other parts of the body. 4. Measles can have dangerous side effects, like pneumonia and blindness, and can even result in death. 1. Keep the child away from others to prevent the disease spreading. 2. 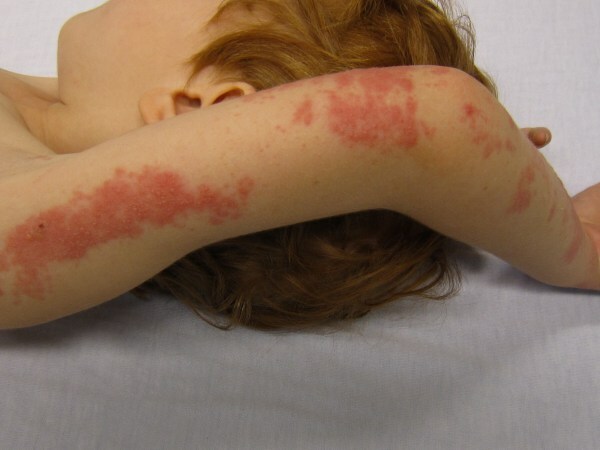 Keep them isolated for at least four days after the first signs of the rash appear. 3. Let them stay in a dark room, away from sunlight. 4. Give plenty fluids and healthy food.